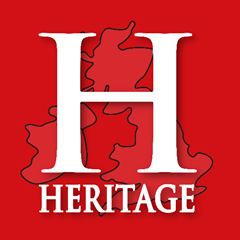 Nominations are being sought for the 2016 Hudson’s Heritage Awards, which celebrates the best heritage experiences in the UK by 30th September 2015. Historic Houses, heritage gardens, museums, galleries in historic buildings, archaeological or industrial sites and other places associated with the past in the UK are invited to put forward an entry in any of the 10 categories before 30th September 2015. The categories reward a range of visitor experiences and recognise the best heritage attractions in the UK. Categories include Best Family Day Out; Best Wedding Venue; Best Eating Out; Best Accommodation, Best New Discovery; Hidden Gem; Best Innovation; Best Shopping and Best Loos which are each nominated by heritage attractions. Hudson’s bring together in a directory and website all the information you need for trips to historic houses, stately homes, castles and gardens as well as museums and heritage sites across the UK.